JumpJam is a human powered device which jams the cell phone network in immediate vicinity of the device. Powered using the kinetic energy created by a person jump-roping, jumpjam enables people to act autonomously, without dependence on any powergrid. Want to jam the network? Have a bit of a jump rope session. 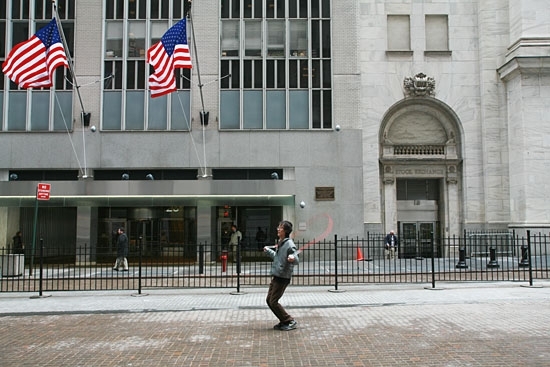 The act of jump-roping physically discourages others from entering your personal space. But what about hertzian, electronic, audible space? Builiding on the metaphor established by the personal sphere enacted with the turning jump rope, we use the action of jumping rope to power the cell phone jammer, creating a spherical electronic personal space. As you spin the jump rope, you spin two rectified stepper motors, which generate electrical power. 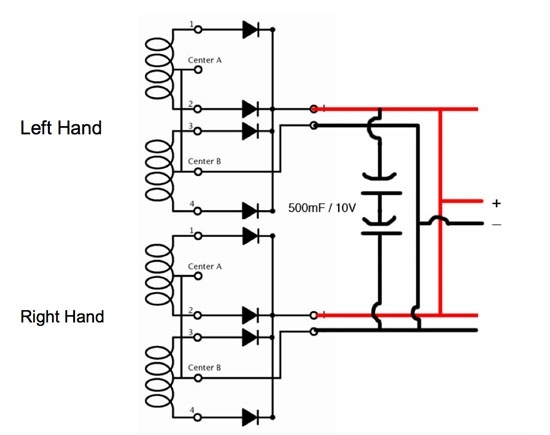 This electrical power is harnessed and used to charge the battery of the cell phone jammer. Once the jammer is turned on, it emits a radio signal which disrupts connection for cell phones 4-10 feet around the device. Through the playful activity of jumproping in public, you create your very own oasis of disconnectivity - for yourself, and for those around you. And you highlight your personal power - for it is through your own physical activity - not the use of oil, gas, or nuclear resources, but through the use of human power that you gain control over the electronic space. As long as you can jump, you can jam. Certainly, jumproping can be a very conspicuous activity. For this reason, we provide flexibility in the jamming process: if you prefer, jump to power the jumpjam battery in one context, and turn the jammer on in the other. video/photo of jammer, turning on the jammer, details of usage. Certainly, the social, economic and political meaning of jamming the cell phone network widely varies depending on the place and context in which the jammer is activated. With Jumpjam, enacting control over the network does not always have to be a performance. 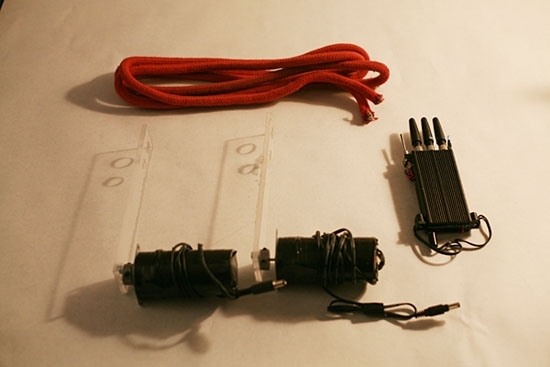 But, if you wish to jumpjam as a public statement, or to engage others in conversation the act of cell phone network jamming, jumproping can be a playful way to do so. As an individual with the jumpjamming device, you can jam the network up to 10 feet around you. Enough to make a statement, or perhaps even initiate debate, but not enough to have a real effect on the network. Independent action is empowering, but group action is powerful. Borrowing from the swarm intellegince of biological systems, and the human movement CriticalMass, we propose the for the use of autonomous group action with the jumpjam device: each jumper acts on local information to jam the (very) local network - en masse, a group of jammers can spread out to form a precisely shaped jammed space that can interrupt cell phone usage in a large area of their formation. 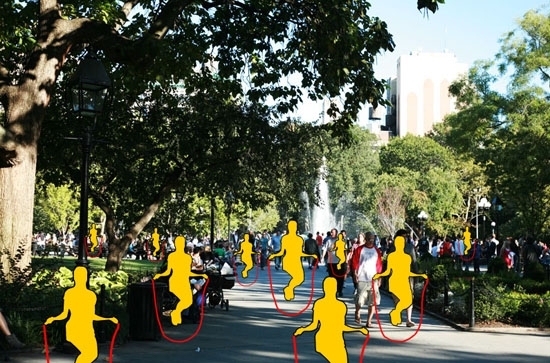 Borrowing from the Bees, whose very existence may be threatened by the emission of cell phone signals worldwide (few images of articles about this), we propose for the use of Swarm intelligence in group JumpJam action. Through the use of swarm intelligence, we take advantage of the power of a decentralized system to counteract the highly centralized system of the cell phone network towers. (images of towers and the grid) Owned and operated by large telecommunication corporations, and powered by the large and cumbersome power grid, individual jumpjammers can take on the system with the use of human power and swarm intelligence: "Simple creatures following simple rules, each one acting on local information. No ant sees the big picture. No ant tells any other ant what to do." See a jumpjammer in action? Start jumping in close proximity. As others being to join, a no-signal area for cell phones is enacted. 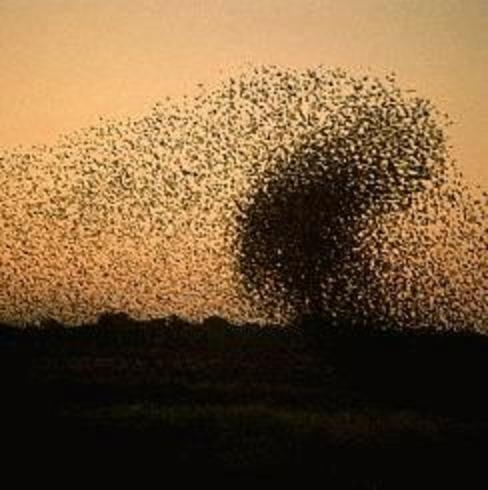 With enough jumpers, the swarm can potentially have a powerful effect upon communication networks. In the park, jumpers can proclaim a no-signal recreation zone. 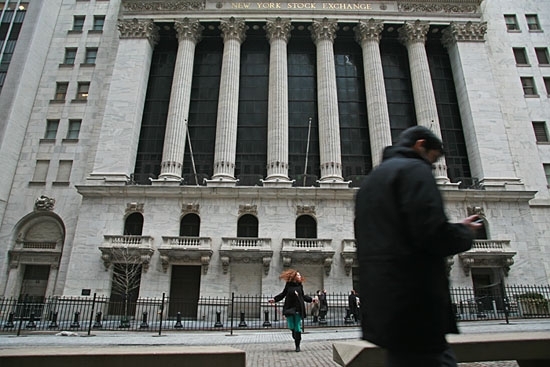 What would a jumpjam swarm mean in front of the New York Stock Exchange?